This interface provides wireless connectivity for Venier probes. 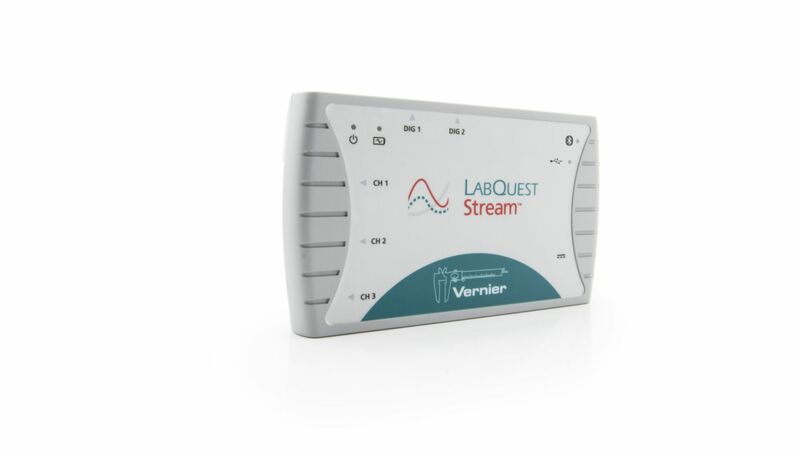 Users have multiple ways to collect data using the LabQuest Stream, which is compatible with over 50 Vernier sensors. It works as a wireless interface with our free Graphical Analysis™ apps for iOS and Android when students use tablets or other mobile devices. It also connects to Windows and Mac computers with the provided USB cable and our Logger Pro or Logger Lite computer software. Users can collect data when using Chromebooks by connecting the LabQuest Stream to the USB cable and downloading our free Graphical Analysis for Chrome app. Accessories information: The station stores and charges four interfaces and it includes interchangeable inserts for the original LabQuest, LabQuest 2, and LabQuest Stream. Compact design efficiently uses lab bench space, with charging indicators. For educational use only. The minimum order for this item is .